Burns are some of the most common accidents that take place at home. The extent of the burn determines the treatment option. When choosing how to treat minor burn remedies, understand that first-degree burns are not severe and only cover the outer layer of the skin. The sharp pain, redness, and swelling are just some of the immediate symptoms. Second-degree burns go deeper into the second layer of the skin. The burnt skin may turn reddish brown or white, and blisters may form. Third-degree burns are more severe affecting the entire skin while fourth-degree burns may affect bones. 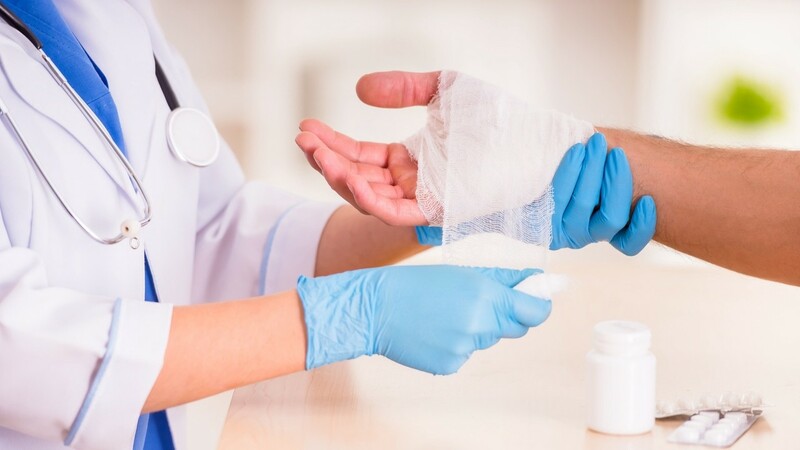 You can self-medicate first-degree burns while second-degree burns may require medical attention if the wound covers an area wider than 3 inches. The first step is to prevent further damage to the skin then calm the pain. Third and fourth-degree burns require immediate medical attention. Here are tips on how to treat a minor burn. Cold water numbs the pain and prevents further damage to the tissues. Note that using ice-cold water or ice cubes can cause more damage. Ice on its own can cause cold burns, especially when used for long. After the burn, your skin is more sensitive and the tissues weaker, which leads to further damage when exposed to cold water. Furthermore, cold water constricts blood vessels and the skin causing more pain. Run the cool water over the burn surface for about 20 minutes. Another option is placing a cool cloth over the burn area. This will minimize pain and swelling. Just the same way it is not advisable to use cold water, very cold compresses can cause more damage to the affected skin. The initial treatment should prevent more damage and minimize the pain. The next step is to help the burn heal faster and avoid getting infected. Other than keeping the area clean, avoid anything that can introduce germs. Certain oils, ointments, and medications are not appropriate. These may irritate the skin causing the wound to spread. Covering the burn area loosely with a clean cloth will help keep dirt away. It will also protect the skin from irritants. Antibiotic creams prevent infections and at the same time help the burn area heal faster. Over the counter creams may be appropriate but make sure to cover the area with a clean clothe after applying. Another option when seeking information on how to treat a minor burn is the use of honey. Sweetness is not its only quality, but honey has antibiotic, anti-fungal, and anti-inflammatory properties. It will prevent infections and at the same time minimize pain. Apply it to the burn area as often as you need to. Also, honey prevents scarring. This is one product you can confidently result to when seeking for burn remedies. Scientific evidence backs its potential. This is also another antibacterial product that will make the burn heal fast. Applying aloe vera in its purest form is the most recommended method. If you cannot, buy products that contain high concentrations of the aloe vera and do not have ingredients that can cause inflammation or lead to infections and allergies. If you want the remedies on how to treat a minor burn to work, avoid the sun when it is too hot. The weakened skin may not withstand direct sunlight. If you cannot, cover the area. Direct sunlight can burn the skin further. If you notice the burn getting worse, consult your doctor. This happens when the burn gets infected or reacts negatively to the home remedies. Also, you may have underestimated the extent of the burn which may prolong healing. The remedies mentioned above can only take care of mild burns, but severe ones need stronger medications such as antibiotics. Moreover, if the pain does not go away even after using the remedies, a doctor may prescribe pain medications, but for a start, an over the counter painkiller may work. Not every burn remedy you hear out there is good. Before you try out anything, as it commonly happens when you want to know how to treat a minor burn, make sure the product has some scientific backing. For instance, many would think that using ice packs would be a good option when in reality it worsens the burn. Certain oils should also be avoided. Ordinarily, oils retain body heat. When applied to a burn the heat will continue tissue damage and cause more pain. Cooking fat, coconut oil, butter and olive oil are just some of the oils to avoid. In fact, when applied immediately after the burn, the skin continues to burn. The egg white is another remedy many people go for but should be avoided. Although it can have a cooling effect, the egg can introduce harmful bacteria to the affected area leading to infections. Another common mistake on how to treat a minor burn is bursting blisters. Some people believe the burn will heal faster without the blister. This is not true. The blister helps protect the burn area from dirt and pathogens. If you burst it, you open up the wound to infections. If the blister is quite big, let your doctor have a look at it. He will decide whether to leave it alone or pop it then cover the affected area. Although the pain may be unbearable immediately after the burn, with proper care using the how to treat a minor burn remedies, it gradually fades away. In a week or so, you should not experience any pain. Mild burns may not be as bad as they look. Within a few days, you might not even recognize the burn area as scarring rarely takes place.